We are sure our current part owners of our Reset – Tannadice Park filly didn’t miss the win of Fawkner first up at Flemington on Saturday. This season Reset sits 14th in the “leading sires in Australia by earnings” list following Fawkner’s win. Reset also sits 22nd on this seasons “leading sires by winners” list with 14 winners bringing his career record as a sire to 208 winners from 396 starters. Also interesting to note Reset is also enjoying recent success with New Beginning in Sydney with that filly winning 6 of its first 11 starts. Our filly is in her 5th week being broken in at Tal Nolen’s at Wangaratta prior to going to Paddy Scott’s Springbank Farm at Shepparton. Tal has been extremely happy with the filly’s progress. She will be in the paddock with her mate the Dane Shadow – Othapus filly who we intend to keep together when they eventually come into the stable. Our filly was purchased at the Melbourne Autumn Sales being the highest priced filly at the sale. We are currently fielding several enquiries from interested parties that we hope can join our current part owners in the ownership of this promising filly. 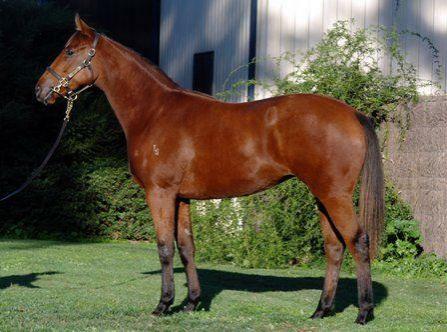 There are still shares remaining in this filly and she is both Super Vobis and Vobis Gold qualified. Please feel free to call Tony Noonan on 03 5976 2607 or 0418 102 972 or for more info go to www.tonynoonanracing.com.au and check “horses available” and then call Tony.